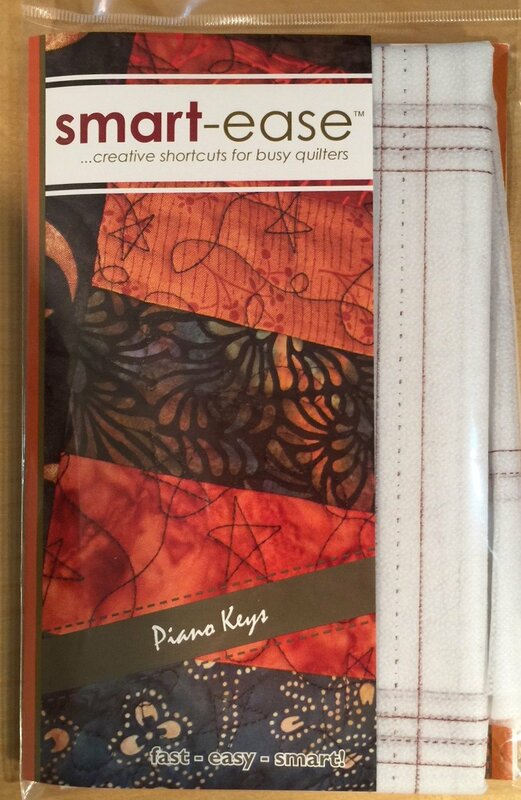 Piano Keys is a wonderfully fun addition to your quilt and SO EASY! Use these quick-to-sew strips between other strips, for borders, or across a row quilt. METHOD: "Fuse, Fold, & Sew" - this is SO EASY! Very similar to our popular GRID methods. Only straight strips to cut - no angles or diamonds! Perfect intersections and beautiful points! USE 2.5" strips! Perfect for kids and grown-ups learning to sew! 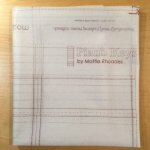 Comes in a 6" x 9" pack with 2 panels of interfacing & instructions to make a total of (72) Piano Keys that finish at 2" x 6", or about 2 yards of border. Strips can be cut or stitched together to accommodate many different size quilt needs. STORY: Click through the images to see Vicky's Piano Keys quilt, made by her husband Bobby, as a surprise for her birthday. Vicky loves roses and playing the piano. Bobby wanted to make a quilt for her and did in 1 week! This was his first quilt! He did a beautiful job and put a bunch of roses, piano keys and LOVE into her quilt. Needless to say, Vicky was over the top touched with love!